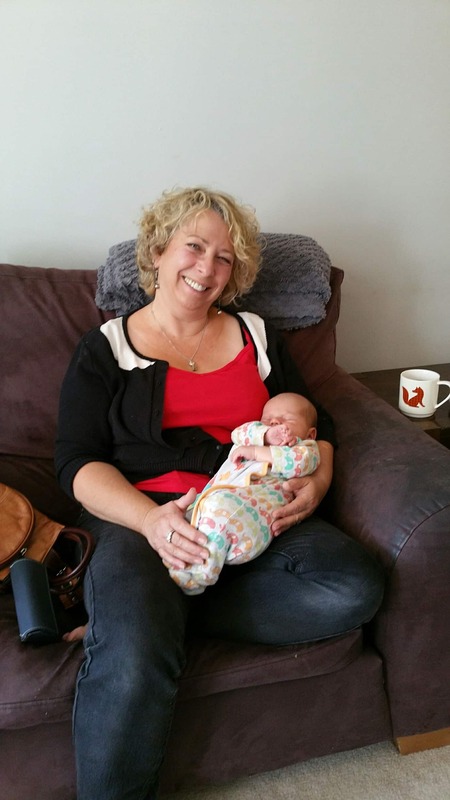 “Verina was there for me before, during and after the wonderful homebirth of my son Johan. Being a doula myself, people were surprised that I would have a doula at my own birth but I had no doubt in my mind that I wanted a doula and that Verina was the doula for me. Verina is a very nurturing, caring and genuine person and a great source of information. Verina helped create a calm and relaxing environment, she gave me encouragement when I needed it and often, it was her words that I focused on to help me relax and let go. We had a lot of laughs and a lot of love. My husband also loved having Verina at the birth and said that she was a non-intrusive, calming presence. He said he loved seeing the connection I had with another woman supporting me and that it allowed him to fully focus on being present for me. There were lots of compliments from the midwives too. My Daughter has a viral infection that affects the skin. It looks like chicken pox (a cousin of) but stays on the skin and spreads for an average of 18 months. It looks terrible and very itchy. When I took her to see the GP, the answer was ‘ oh yes, we’re familiar with the condition, it’s very common with kids but we don’t treat it. It will just go away’. Well, I wasn’t ready to just wait, about 18 months, for it to go away. My daughter was suffering. I, immediately, contacted Verina for Homeopathy advice. Verina knew exactly what I’m talking about and after our short conversation she posted me a specific remedy for the infection. I knew it will take time, maybe 3-4 weeks until I’ll see an improvement but no; 5 days, only 5 days after starting the remedy the spots began to disappear! We were all shocked but so, incredibly happy and thankful to Verina!! We are now 4 weeks on and the spots are almost completely gone. From being covered neck to knees, she’s only got few left on her legs. Her tummy was full of spots which are all gone now. Verina, I’m so glad I contacted you. You managed to help us in no time. 5 days instead of waiting 18 months as per GP advice…. Thank you so much! Thank you very much for all your help and support. Your knowledge, reassurance and calming presence have helped to make this such a special and memorable occasion. We are extremely grateful for everything you have done for us. Posted 2 days after a beautiful home birth – calm and stress free just as nature intended. Its really hard to find the words to describe how we feel about the incredible journey that we have been on to bring Radley into our family – what we do know is that the journey would not have been the same without you. “We are so very grateful that we met you and for all the joy and positivity you have bought into our lives.”. I would like to thank you for your wonderful support and help during our very LONG labour! I felt really happy to have you by my side in the hospital and you helped me to feel comfortable with my decisions which was so very important to me. Thank you for the homeopathic remedies and the calendula tincture, this has really helped my recovery. We are also so grateful for your help with Abel’s tongue tie. Roberta was amazing and the whole procedure went so smoothly – thank you for your knowledge and support too. You are an amazing doula and I only wish that every woman could experience the same support! “That is the best £45.00 that I have spent in my life! It is the first time that I have felt really heard. Thank you so much”.